Kaum — despite being part of the famed Indonesia-based Potato Head Family — first opened in Hong Kong in 2016, then Bali, and finally in Jakarta. Meaning “clan” or “tribe” in Indonesian, Kaum serves up authentic Indonesian cuisine in small and sharing plates inspired by tribal communities across the archipelago, from their indigenous cooking methods, exotic spices to artisanal ingredients and produce. The Jakarta outpost is housed in an elegant heritage bungalow ensconced within the upscale Menteng neighbourhood of Central Jakarta, once a Dutch-centric district and abode of high-ranking officials. 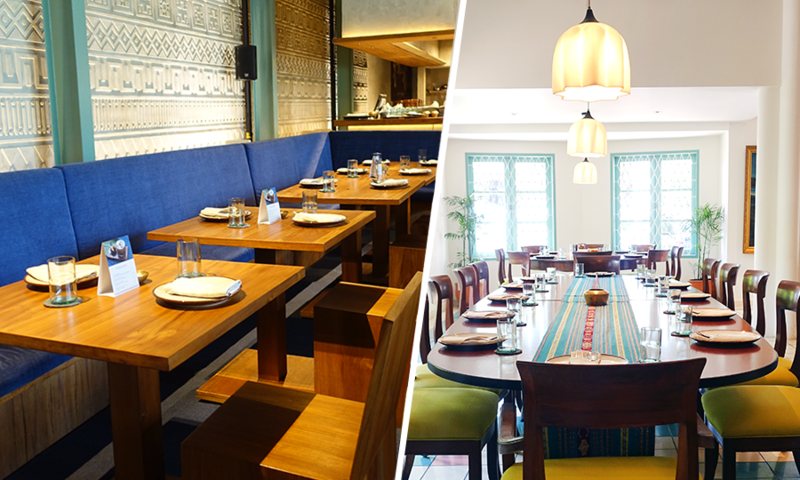 Oozing with a rustic chicness that complements its colonial charm, Kaum is a joy to dine in. Not surprising that it was voted Restaurant of the Year at the inaugural Jakarta’s Best Eats Awards. Expect an eclectic array of dishes. 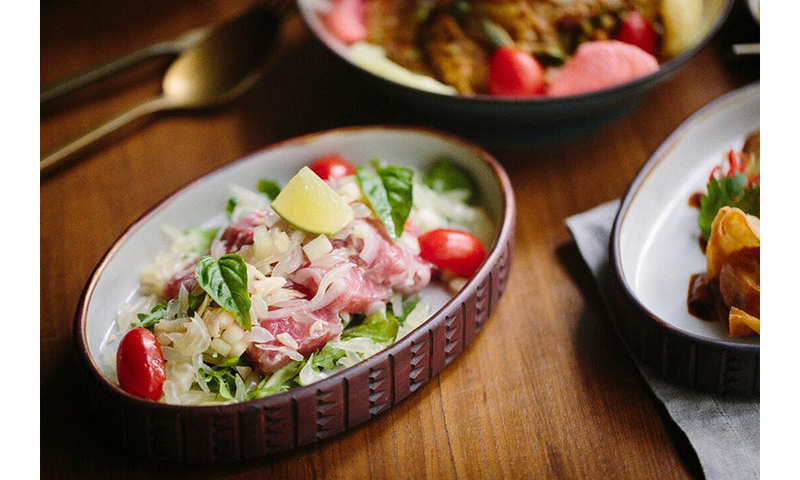 From the Maluku Islands comes Gohu Ikan Tuna, a ceviche-like marinated raw tuna with virgin coconut oil, lime, pomelo and toasted kenari nuts. West Java offers up succulent Wagyu Beef Sate marinated with ginger, garlic and galangal; and Batagor Sambal Kacang, a snack of fried prawn and fish dumplings served with a spicy cashew nut and coconut milk sauce. Love carbs? The tasty Bumbu Pesmol Barramundi seduces with its blend of coconut milk and a myriad of spices, unstoppable with the fluffy warm rice. Cocktails are well featured here, a nod to the club heritage of the group. If you’re in Bali, don’t miss the happening Potato Head Beach Club. 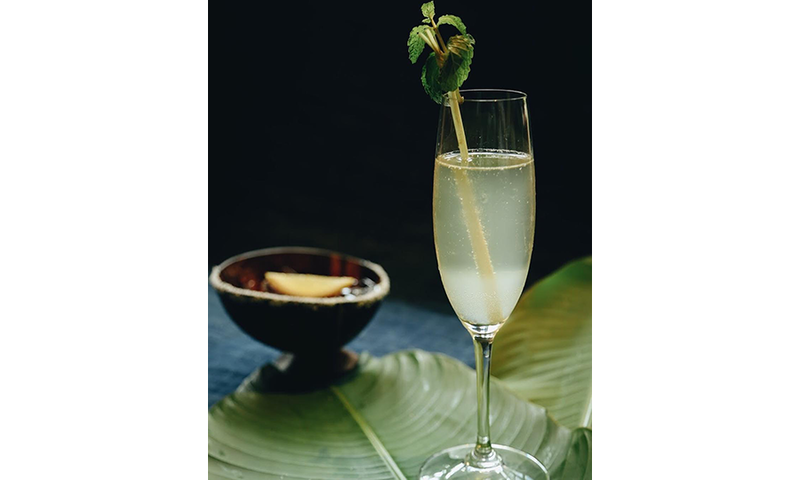 Delightful flutes of Peach Bellini salved our parched throats on a rather warm afternoon. 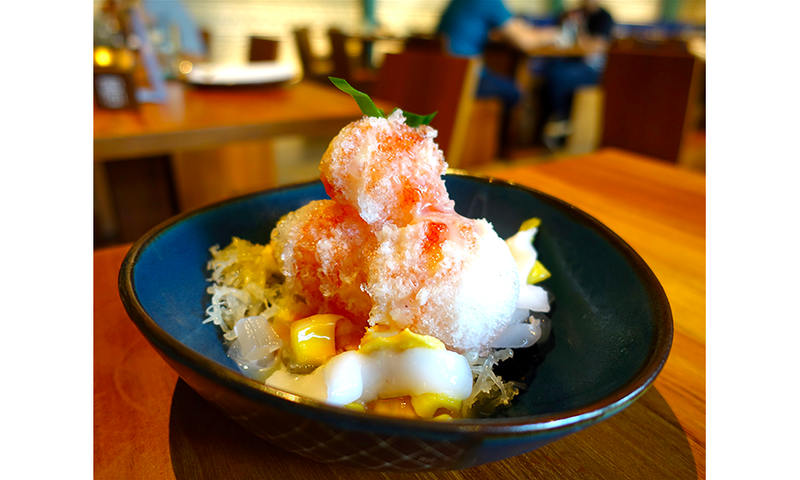 The lunch ended with a soothing Es Campur, a dessert staple of Jakarta, brimming with fermented cassava, avocado, seaweed jelly, aloe vera and jackfruit, doused with rosella syrup on a bed of crushed ice. We like Kaum Jakarta. It ticks off all the right boxes with its charming decor, good vibes, competently executed dishes that pay tribute to the culinary diversity of the country, and prices that won’t break the bank. Fueled and refreshed, it was time to brave the hot Jakarta sun and hit the road, but for sure we’ll be back.